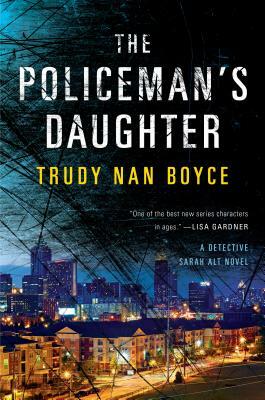 From author Trudy Nan Boyce, whose police procedural debut was hailed as "authentic" (NYTBR) and "exceptional" (Milwaukee Journal-Sentinel), returns with a stunning prequel to the Detective Salt series, the story behind the case that earned Salt her promotion to homicide. At the beginning of her career, Sarah "Salt" Alt was a beat cop in Atlanta's poorest, most violent housing project, The Homes. It is here that she meets the cast of misfits and criminals that will have a profound impact on her later cases: Man Man, the leader of the local gang on his way to better places; street dealer Lil D and his family; and Sister Connelly, old and observant, the matriarch of the neighborhood. A lone patrolwoman, Salt's closest lifeline is her friend and colleague Pepper, on his own beat nearby. And when a murder in The Homes brings detectives to the scene, Salt draws closer to Detective Wills, initiating a romance complicated by their positions on the force. Trudy Nan Boyce received her Ph.D. in community counseling before becoming a police officer for the city of Atlanta. During her more-than-thirty-year career she served as a beat cop, a homicide detective, a senior hostage negotiator, and a lieutenant. Boyce retired from the police department in 2008 and still lives in Atlanta.